Sheldon Chanales concentrates his practice on real estate development, sales, purchases, financing, leasing and joint ventures. In his 35-year career, Sheldon has handled many high-profile real estate matters, including the sale of the upper portion of the Woolworth Building, the $800 million acquisition of 237 Park Avenue, and the acquisition of 70 Pine Street, one of New York City's tallest office buildings. Sheldon offers clients unique insights gleaned from his experience advising parties on every side of the real estate deal table – including buyers and sellers, borrowers and lenders, landlords and tenants, as well as public REITs, joint venture partners and institutional equity investors. This experience allows him to creatively navigate the concerns of disparate parties, anticipate legal hurdles and build consensus in particularly challenging multi-party transactions. Clients also benefit from Sheldon's reputation for integrity in the real estate community, a trait that allows him to effectively negotiate terms with adverse and related parties. 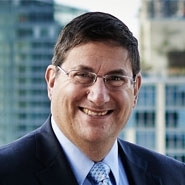 Prior to joining Herrick, Sheldon was a partner at Kaye Scholer LLP.